Can't believe it's already August! I honestly can't wait for autumn and cooler weather. Just one more month! 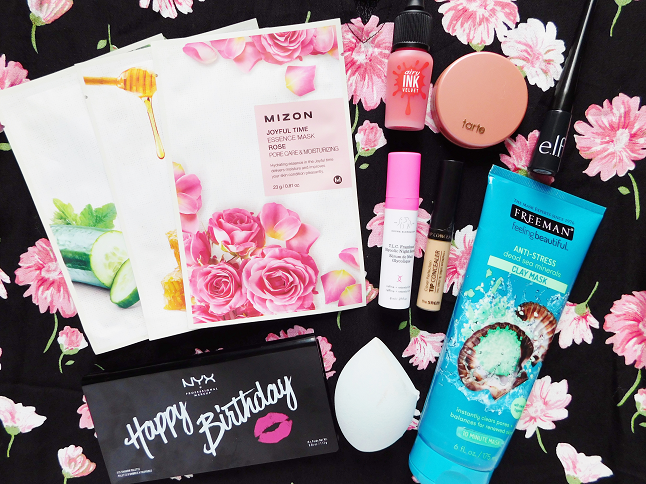 Anyways, it's time for another round of my monthly beauty favorites. 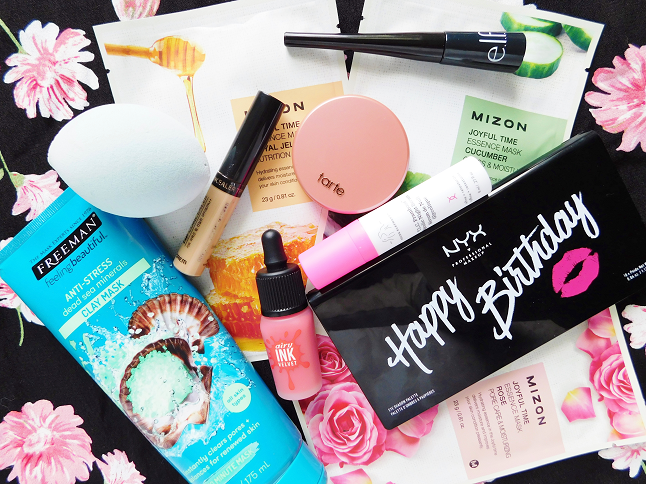 This time I have a lot of new beauty goodies to share with you guys. Let's start! 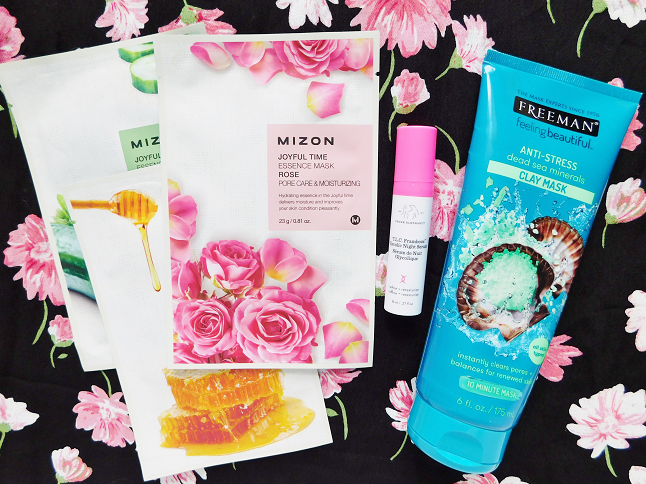 These are my new favorite sheet masks! They are by Misson and come in a variety of scents/flavors. The sheets fit my face perfectly and the essence of the masks are high quality. If you are looking for some new sheet mask to try out I would highly recommend these. I've heard so much about this serum but the full-size is so expensive (around $100) but when I saw that they had a travel-friendly size of this serum I bought immediately! It's definitely changed the appearance of my skin, clearer, even skin tone and soft skin! The bottle may look small but I am on week 4 of using this serum (I used 2 pumps every morning and night) and it still has product inside! If you aren't into sheet masks or prefer clay masks instead then let me introduced to you the Freeman Anti-Stress Dead Sea Mineral Clay Mask. I adore this mask! It smells amazing, the color of the mask is beautiful, soothing and it puts you at ease when you have this on. Perfect for those days when you just want to relax! 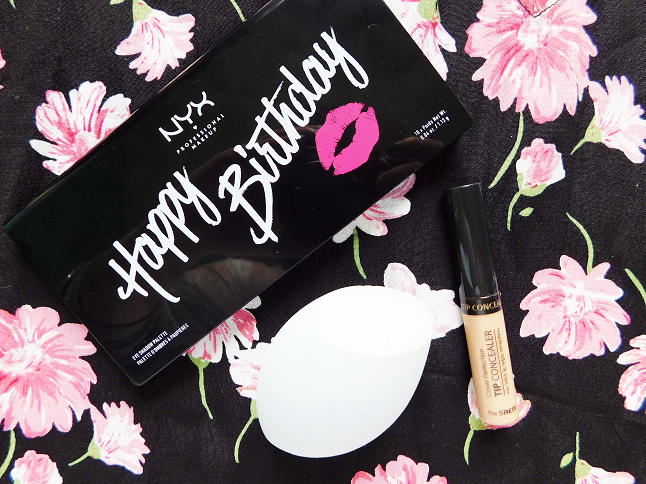 This was my free birthday gift from Ulta, an eyeshadow palette from NYX. The palette comes with 10 neutral shadows (which you can see here) that are easy to blend and perfect for everyday wear. I've been searching for a beauty sponge for a long time (I refuse to buy the beauty blender because $20 for a sponge is ridiculous!). I've tried the Real Techniques sponge multiple time but it rips too easily. However, I finally found the sponge that replaces the Beauty Blender, the Missha Water In Sponge! It made from the same material as the BB (I cleaned my younger sisters BB sponge and they're literally the same!) but the angled shape of this sponge makes application simpler. My new favorite concealer! I bought this to cover up small blemishes but I decided to use it my under eyes and it covered them beautifully. It's so small though so there isn't much product inside, it's affordable though so I don't mind. 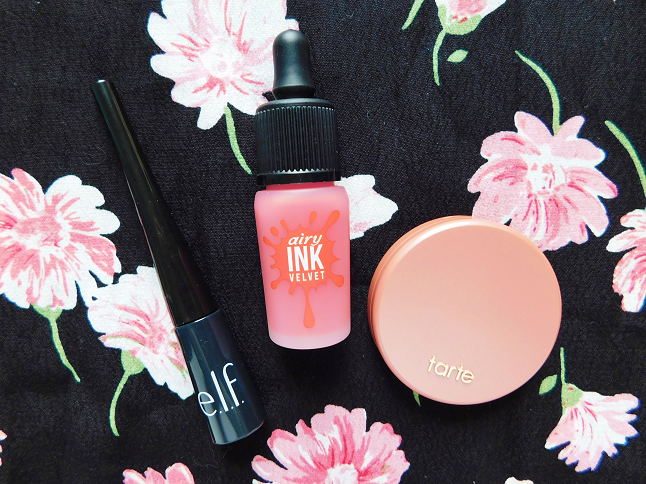 I picked up this eyeliner because I needed an eyeliner for my summer trips. It was only $2 and I've tried it in the past so I bought it again. When I first started using I hate how wet it was but the more I used it the more I learned how to properly use it, that' my best advice. Peripera is known for their amazing lip tints so I never hesitate to buy any lip products from them. The Airy Ink Velvets are so comfortable on the lips and the color is gorgeous! My only complaint is how easily the color comes off. I am so used to lip tints staining my lips after but this one didn't. Was never a big fan of blush before but recently I've been getting really into them. I received this Tarte blush in my Sephora birthday set. One day I applied it and fell in love with the warm glow I got from this blush.